I can remember shopping at Kroger, even as a little girl. The memories that I have of shopping there as a child, seem a little random, but they are my memories. For some reason, really not sure why, on occasion I would head to Kroger with my neighbor when she would go grocery shopping. I remember that we would buy a candy bar, but had to eat in the car, before we got home. I also remember that their deli had the best nacho cheese dip. It was always such a treat when we would get their chips and nacho cheese. "Have you heard? The Cart Buster Savings Event is back at the Kroger Co. Family of Stores, beginning July 31st with storewide savings in almost every department! During the savings event, summer deals are just getting started. Browse the aisles and load up your cart with everyday items from brands you already love." "From July 31st through August 17th save on tons of brands across more than 100 categories from General Mills, PepsiCo, Unilever, Heinz, Mars, Wrigley and Kimberly Clark. Look for some of your favorite participating products like, Honey Nut Cheerios, Yoplait , Pillsbury Pepsi, Doritos, Gatorade, Smart Ones, Ore-Ida, Cottonelle, Viva, Breyer’s Ice Cream, Axe , Snickers, Pedigree and Orbit. Look for big savings storewide at the Kroger Family of Stores, which includes Kroger, Ralphs, King Scoopers, City Market, Dillons, Smith’s, Fry’s, QFC, Baker’s, Owen’s, Jay C Food Stores, Hilander, Gerbes, Food4Less, Fred Meyer, Pay Less Supermarkets and Scott’s food & Pharmacy. Don’t let the savings stop there! Make sure to follow the Cartbuster “Deal of the Day” beginning August 3rd and running through August 16th. * Download exclusive offers, on more of your favorite brands, directly to your shopper card, by visiting www.cartbuster.com, beginning Wednesday, August 3rd." Want to stay in the know about special events at your local Kroger store? 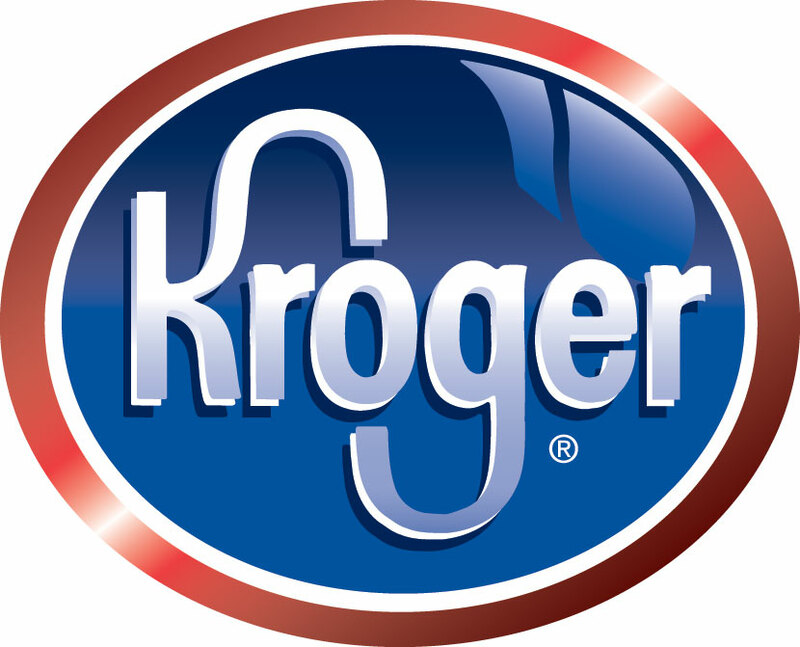 Be sure to check out Kroger on Twitter and Facebook. For information on the Cart Buster Event and information on the Deal of the Day offer at www.cartbuster.com. Thanks to Kroger and MyBlogspark, I have the opportunity for one A Busy Mom of Two reader to win a $25 Gift Card to Kroger (to help make the Cart Buster deals even sweeter!). To enter leave a comment sharing which Kroger family of stores you will be shopping at. Like A Busy Mom of Two on Facebook. Share this giveaway with friends - on your blog, on Facebook or by posting it on a giveaway link-up. Leave me a comment letting me know how you shared or leave a link to the giveaway link-up. You may have one additional entry for each giveaway linky that you submit it on. Giveaway will remain open until August 12th at 6 pm. Giveaway is open to residents of the US only. One winner will be selected using a random number generator. The winner will be contacted by e-mail (be sure to leave one!) and will have 48 hours to respond or a new winner will be selected. No compensation was received for this post. I will be receiving a Kroger gift card. The Kroger gift card, information, and giveaway have been provided by Kroger through MyBlogSpark. All opinions expressed are my own or those of my family. I'll be shopping at Kroger. I follow your blog in GFC. Kroger, but I grew up shopping at Dillon's. I'll be shopping at Kroger! You are on my blogroll, right at the top! We shop at our local Ralphs store. Thanks for the giveaway. Follow Kroger on Twitter: (at)thabal628. I'll be shopping at Food 4 Less. I would be shopping at Kroger! i follow kroger on twitter! I will be shopping at the Kroger stores. Thanks for the giveaway! I'd use it at Kroger! our local kroger is called Frys :) love it there! Roku Streaming Player Coupon Code- Winner! BCowan Bags - Special Offer ends tonight! Box Tops for Education - a Giveaway!